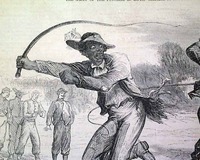 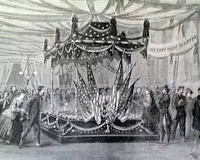 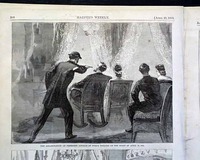 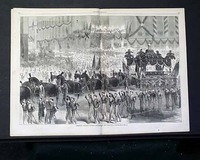 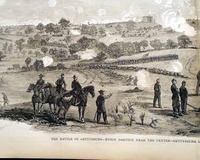 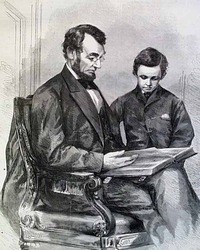 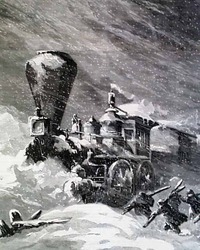 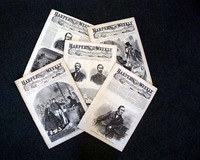 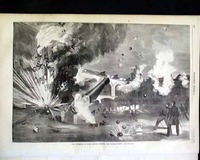 (5 issue set) HARPER'S WEEKLY, New York, May, 1861 - May, 1865... one from each year of the Civil War! 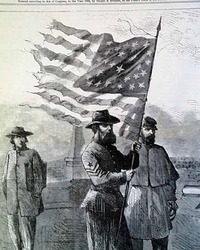 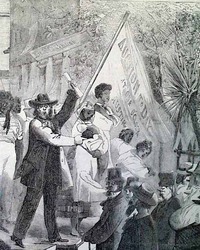 HARPER'S WEEKLY, New York, January 7, 1865 The full front page shows: "Sergeant Helmes Raising the Colors of the 107th New York Regiment Over the Capitol at Milledgeville, Georgia". 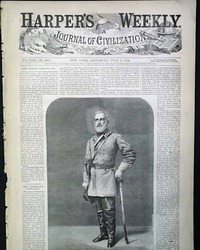 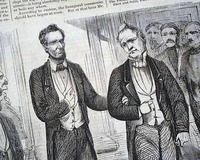 HARPER'S WEEKLY, New York, July 2, 1864 Certainly the prime content in this issue is the very nice front page illustration of: "The Rebel General Robert Edmund Lee" with a short biography on him as well. 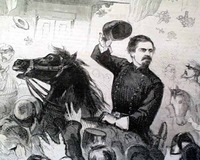 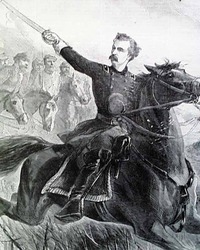 HARPER'S WEEKLY, New York, March 19, 1864 The entire front page is taken up with a great print captioned: "Brigadier General George A. Custer" showing him leading a charge on horseback brandishing his sword. 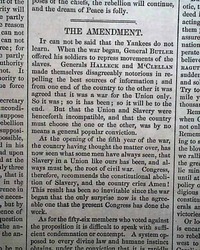 There is a related article inside. 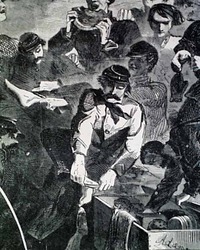 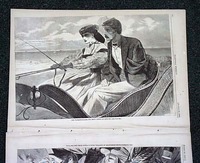 HARPER'S WEEKLY, New York, November 15, 1862 Although there are many fine prints in this issue certainly the most desired would be the full page Winslow Homer print titled: "The Army of the Potomac--A Sharp-Shooter on Picket Duty." 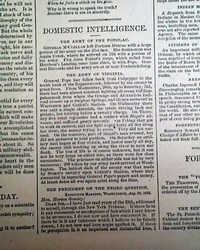 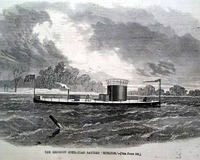 HARPER'S WEEKLY, New York, Sept. 6, 1862 The front page shows: "Thomas Fitch Rowland, Builder of the New Monitors" and "The Iron-Clad Frigate 'Ironsides' In Fighting Trim" with related articles. 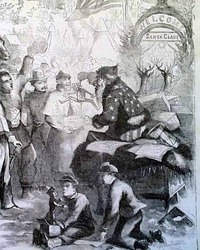 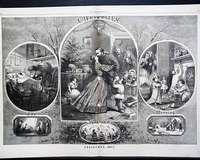 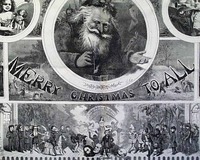 HARPER'S WEEKLY, New York, January 4, 1862 The full front page is a notable Winslow Homer print: "Christmas Boxes in Camp, 1861", which does show some mild margin wear as this was the first page in the volume. 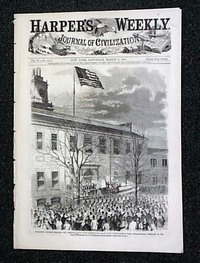 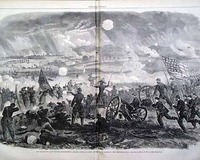 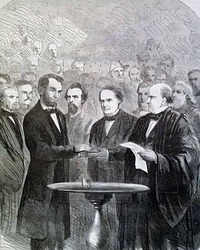 HARPER'S WEEKLY, New York, April 27, 1861 The front page shows: "General Thomas Swearing In the Volunteers Called Into the Service of the United States at Washington, D.C." plus there is also text on: "The Bombardment of Fort Sumter".